In 1940, British troops stationed in Palestine were on a peace-time footing and used the Palestinian civil post office for their mailings. In April 1940, the Sarafand Army Post Office began its operation. 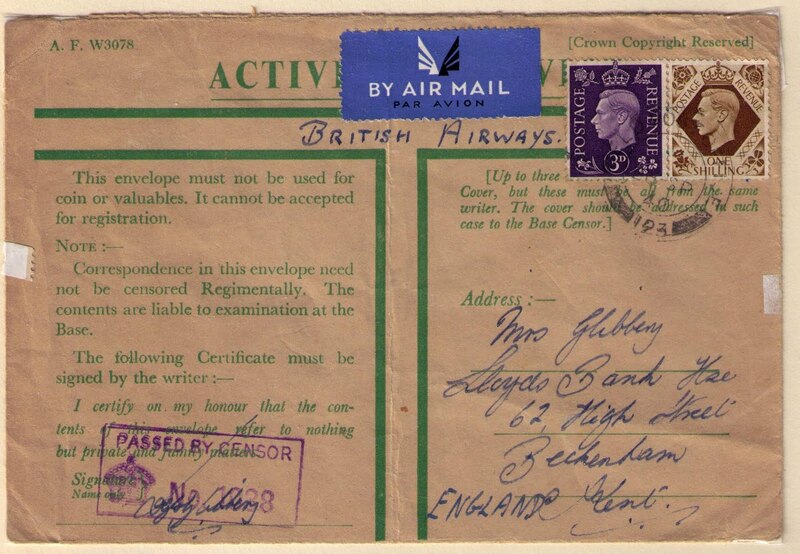 Before the fall of France in June 1940, there were no difficulties with air mail service from Palestine to Great Britain. However, when Italy entered the war in June 1940, the Mediterranean air route was closed and direct air mail service to Great Britain was cancelled. This article deals with two air mail routings from Palestine to Great Britain available after June, 1940. 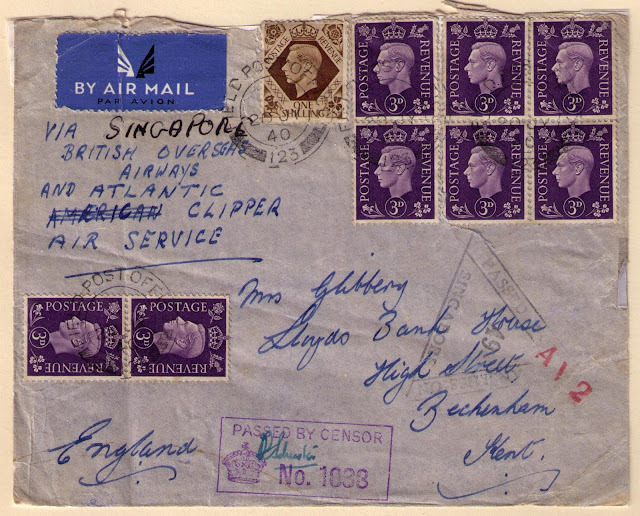 Air mail from Palestine to Britain was flown to South Africa via BOAC then sent by sea to Great Britain. The cost of this service was 1s. 3d. 1s. 3d. 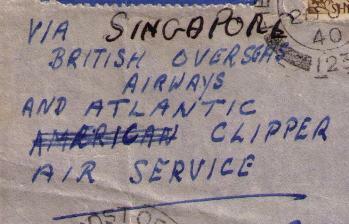 air mail rate Palestine to Great Britain: air to South Africa then ship to Great Britain. 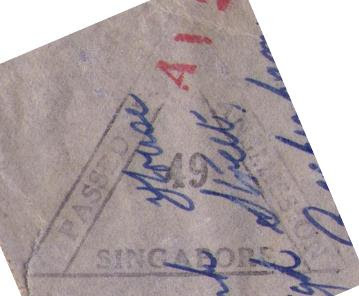 In July 1940, a new air service was established wherein mail from Palestine was flown to Singapore then by transpacific air via PANAM to San Francisco, and from there to Great Britain by the best available means. The cost of this service was 3 s. The service was unsuccessful because the rate was high and the transit time was similar to that of the African route. 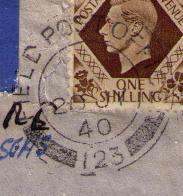 3 s. paying the Palestine to Great Britain rate "Via Singpore"